On the D1 chart, the downtrend is still in force, the instrument adjusted to the midline of Bollinger Bands. MACD histogram is in the negative zone keeping a signal for the opening of short positions. Stochastic is in the neutral zone, moving towards the border with the oversold zone; the oscillator lines are pointing downward. 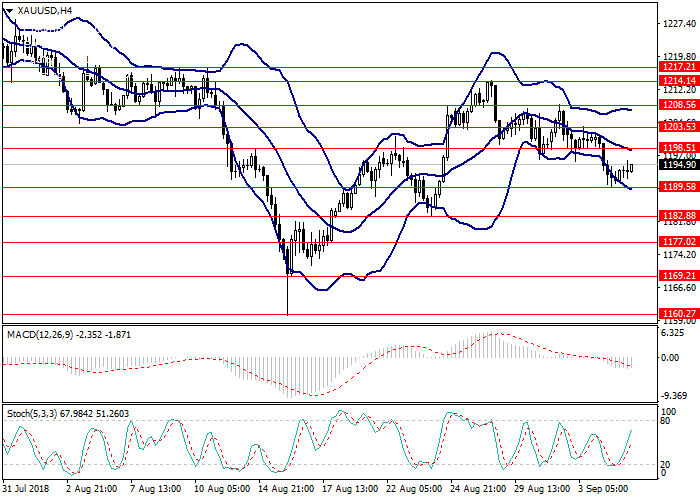 On the H4 chart, there is a correction of the downward movement, and the instrument demonstrates side movement within the corridor formed by the middle and lower lines of Bollinger Bands. MACD histogram is in the negative zone, the signal line is crossing the zero line and the body of the histogram from above, forming a signal to open short positions. Stochastic is in the neutral zone, and the lines of the oscillator are reversing upwards. Support levels: 1189.58, 1182.88, 1177.02, 1169.21, 1160.27. Resistance levels: 1198.51, 1203.53, 1208.56, 1214.14, 1217.21. 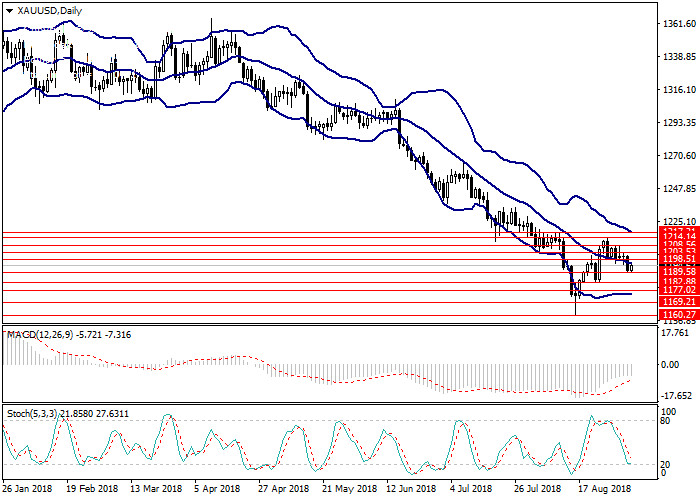 According to technical indicators, the downtrend is still relevant, so, in the short term, it is preferable to open short positions from the level of 1189.50 with the target at 1183.00 and stop loss at 1193.50. Implementation time: 1-3 days. Long positions may be opened from the level of 1204.00 with the target at 1214.00 and stop loss at 1200.00. Implementation time: 3-5 days.